Located within theater-themed boutique hotel Playhaus in Thonglor. 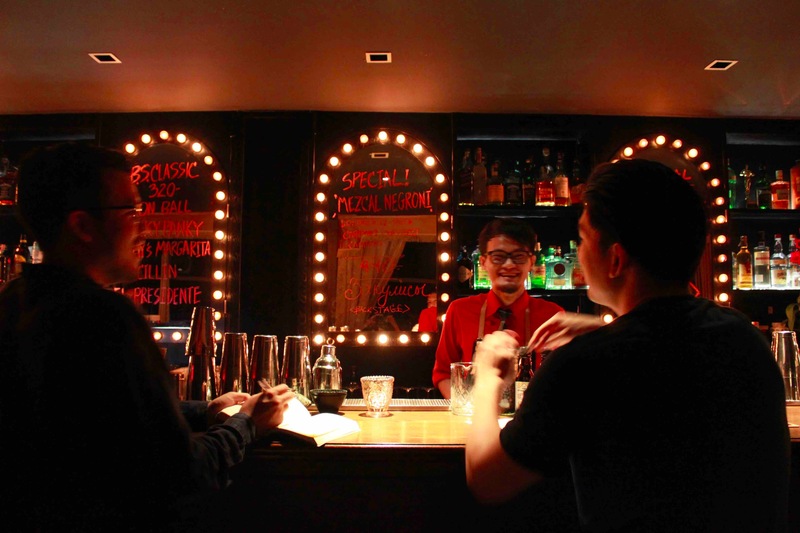 Their specials of the night or week are written on the mirrors, but bespoke drinks are also warmly welcome here. The atmosphere is playfully relaxed in comfortably compact space whether at the bar or on a sofa. Guest shifts happen frequently and are usually entertaining. It’s also where to encounter industry people of Bangkok casually and from around the world, mostly at a very random night or at the very late hour. One more thing, I dare you to play drinking games with them.